We have said it before and we’ll keep saying it, we are so blessed to have a super talented, creative, and productive group of professional musicians on staff at RiverCity Rock Star Academy. Not only do our teachers work hard in our programs and private lessons but they work hard on their craft and passion for music. RiverCity bass teacher and co-music director Jarred Venti and his band Sleep Millennium released their first album this week titled "Let Us Begin the Future." 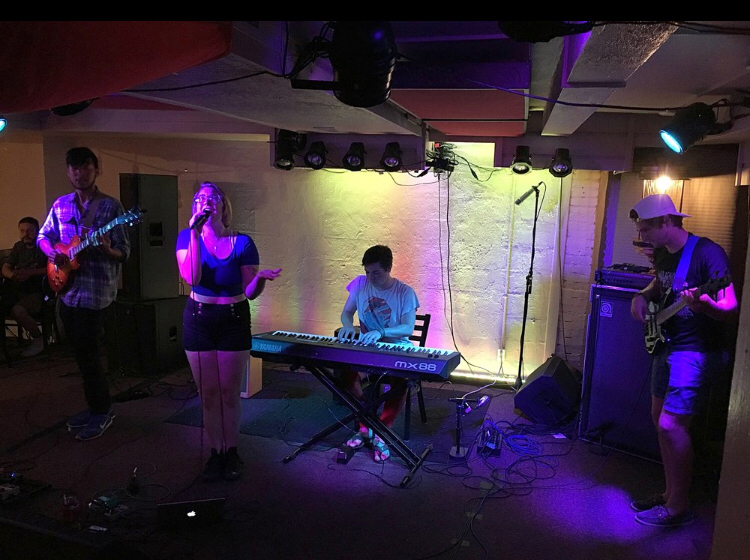 Tonight at Venti's Cafe they’ll have an album release show starting at 6:00 p.m. with our own Rebecca McDade opening the show, followed by Masq, TENTS, and Sleep Millennium. You can purchase the album tonight at the show or can download at Spotify or Itunes. Speaking of our guitar and vocal teacher Rebecca McDade, she was featured in this week’s Salem Weekly as Rebecca released her first album a couple of weeks ago called "To Call Home." Legendary Portland music producer Gregg Williams recorded the album at Trench Studio. Working with Gregg and accompanying Rebecca on the album was Eric Earley of Blitzen Trapper. You can listen To Call Home on Spotify or Itunes. Finally, our drum teacher Kaylee Bonatakis is about halfway through her national tour with the Dead County Gentleman and playing in Memphis tonight. You can keep up with the Dead Country Gentlemen here and take a listen on Spotify and Itunes. Welcome Wil Bakula to Team RiverCity! Please welcome our other new teacher, Wil Bakula!! Wil has played classical piano for around 14 years and has studied Jazz at Willamette University for four of those years. His areas of strength and skill lie in playing and composing funk and neo-soul music. Wil also has three years experience working on advanced recording and production techniques in a professional recording studio. In the past two years, he has composed, produced, and released five solo EPs in the genre of electronic music, but most of his time and passion goes towards working with his pop-fusion band Chromatic Colors. In the past, Wil has also played keys for the Rich McCloud band, drums for Baked Goods, and produced an experimental rap album for local rapper MidGame. He expects to graduate with a Bachelor's degree in Music and Philosophy from Willamette University this May. Wil is available for keys /piano lessons.